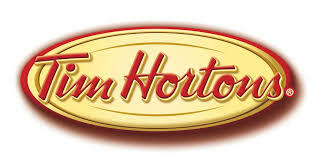 Tim Hortons Inc. is a Canadian multinational fast casual restaurant known for its coffee and doughnuts. 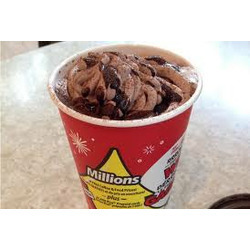 It is also Canada's largest fast food service with over 3,000 stores nationwide. Sadly these are amazing. The reason I say sadly is because I consume them way too often! 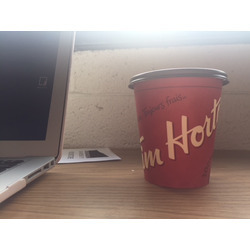 They are creamy, refreshing and a great alternative to those of us who are not coffee fans. J'ai vraiment adoré le goût et la fraicheur. 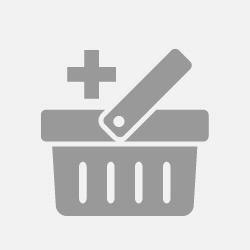 Un peu dispendieux mais tellement bon et rafraîchissant. Je le recommande par une chaude journée ou tout simplement pour se faire plaisir !! What a great at home coffee! 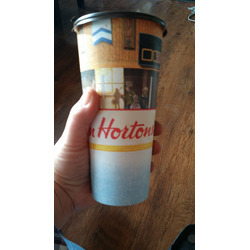 I love tim hortons coffee and now I can enjoy it at home! 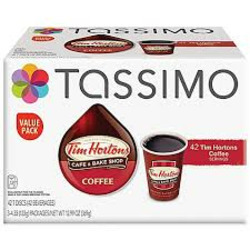 It is a tad more expensive than other t-disc coffees because of the name but I consider it worth it! 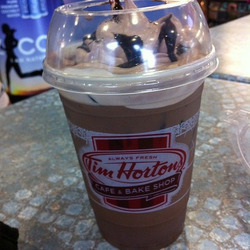 Tim Hortons is one of my favorites. 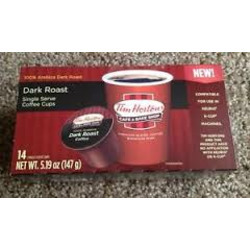 The dark roast has a great strong rich flavor. 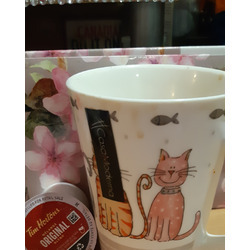 As a k-cup it makes it easy to enjoy while at home or at the office! 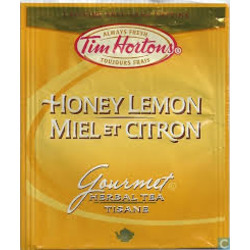 My favourite specialty drink from Tim Hortons. 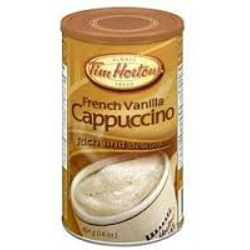 French Vanilla dominates all the Tim Hortons near me; I miss my English Toffee. 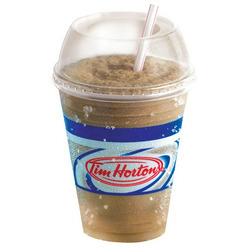 It's heaven in a cup. Filling, thick, and just all kinds of yummy. 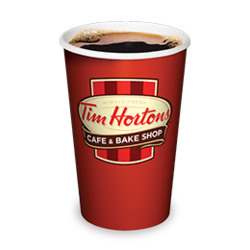 Omg better then at the Tim Hortons place ! Omygosh i believe i am addicted Lol. I had never had one before until my friend treated me now I buy at least 2 a day. Lol i think i may need an intervention!